In 1965, the experimental filmmaker Stan VanDerBeek (1927–1984) unveiled his Movie-Drome, made from the repurposed top of a grain silo. VanDerBeek envisioned Movie-Drome as the prototype for a communications system—a global network of Movie-Dromes linked to orbiting satellites that would store and transmit images. With networked two-way communication, Movie-Dromes were meant to ameliorate technology’s alienating impulse. In The Experience Machine, Gloria Sutton views VanDerBeek—known mostly for his experimental animated films—as a visual artist committed to the radical aesthetic sensibilities he developed during his studies at Black Mountain College. She argues that VanDerBeek’s collaborative multimedia projects of the 1960s and 1970s (sometimes characterized as “Expanded Cinema”), with their emphases on transparency of process and audience engagement, anticipate contemporary art’s new media, installation, and participatory practices. 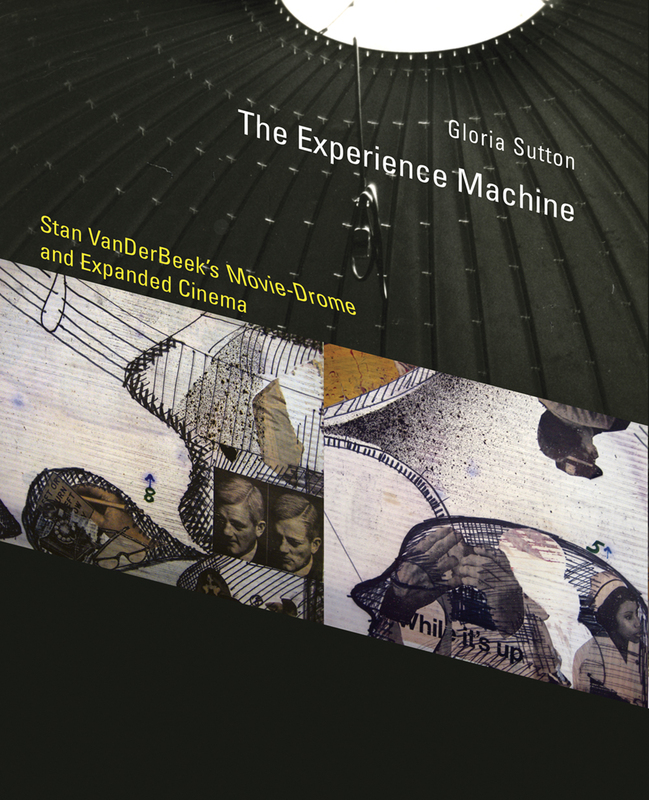 VanDerBeek saw Movie-Drome not as pure cinema but as a communication tool, an “experience machine.” In her close reading of the work, Sutton argues that Movie-Drome can be understood as a programmable interface. She describes the immersive experience of Movie-Drome, which emphasized multi-sensory experience over the visual; display strategies deployed in the work; the Poemfieldcomputer-generated short films; and VanDerBeek’s interest, unique for the time, in telecommunications and computer processing as a future model for art production. Sutton argues that visual art as a direct form of communication is a feedback mechanism, which turns on a set of relations, not a technology. Gloria Sutton is Assistant Professor of Contemporary Art History and New Media in the Department of Art + Design at Northeastern University.